Wigan ended their Australian tour in disappointing fashion as South Sydney won 18-8 to complete an NRL clean sweep. The Warriors beat Hull FC a week earlier in the first Super League fixture to be staged outside Europe but they came up with a below-par performance in front of an 18,721 crowd at ANZ Stadium. Just like Leeds, who were crushed by Melbourne in Friday's World Club Challenge, and Hull, beaten 24-18 by St George Illawarra in the first part of Saturday's double-header, Wigan scored the opening try but failed to build on a promising start. South Sydney, playing under new coach Anthony Seibold for the first time, were without the likes of Sam Burgess, Greg Inglis, Adam Reynolds and off-season recruit Dane Gagai but still had too much power for their visitors. Wigan were at full strength, with England international John Bateman, who has been linked with a move to the NRL, entering the action midway through first half for his first rugby since the World Cup final. The Warriors also gave a first run-out to close-season recruit Gabe Hamlin against his old club as coach Shaun Wane took the opportunity to use his full squad in the second half. Wane's men could hardly have made a better start, with Tom Davies touching down a clever grubber kick from skipper Sean O'Loughlin for the first of his two tries after five minutes. 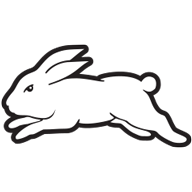 The right winger ought to have added a second five minutes later, as he lost his grip on the ball over the line, and within two minutes the Rabbitohs were level. England prop Tom Burgess stretched out of the attempted two-man tackle of Ben Flower and Dan Sarginson for an opportunist try and five minutes later winger Campbell Graham put Souths in front when he finished off a break by Hymel Hunt. 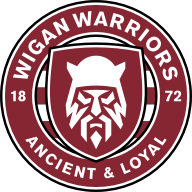 Wigan were reduced to 12 men after 28 minutes when Liam Marshall was sin-binned for a professional foul after pulling off a try-saving tackle on Alex Johnston. The home side immediately made the extra man count as they engineered an overlap for winger Richard Kennar to touch down but Damien Cook, having taken over the goalkicking duties from Adam Doueihi, was off target with the conversion attempt. It was still an open contest, however, and Davies grabbed his second try five minutes before half-time after referee Henry Perenara's decision was overruled by the video referee as Wigan trailed 12-8 at the break. The Super League side were pressed into some desperate defence in the third quarter, with Souths forcing four goal-line drop-outs, but Wane's men dug deep to keep their line intact. They had a let-off when Mawene Hiroti was denied a try for a double movement but the pressure eventually told when Doueihi went past some tired defenders for his side's fourth try.